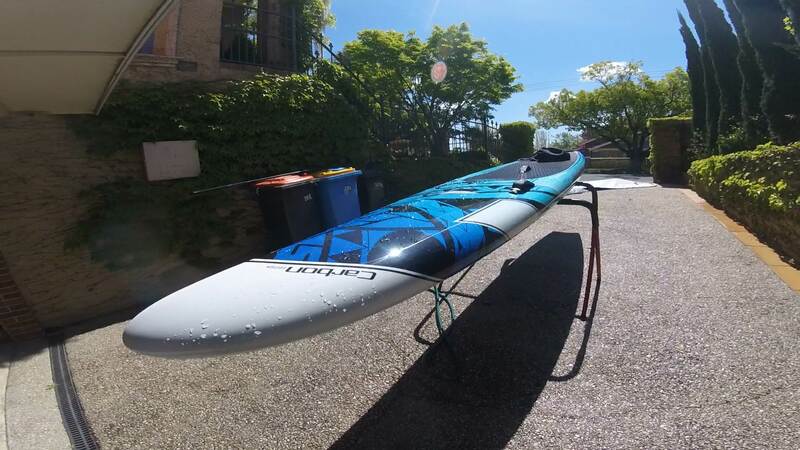 2014 Fanatic Falcon 14 x 27"
2017 Fanatic Strike 14 x 24"
The Falcon is extremely stable in all conditions and downwinds and surfs nicely, but feels like a truck on flatwater and buoy turns. So if having a workout on the bay it's not as fun with the little glide per stroke. The Strike is fast and light, great glide, and cuts through bumps beautifully, but I find it very unstable, although I'm sure this is also due to my limited experience/skill. Even in small chop I'm only fine so long as I'm with or against the swell, but as soon as there is a side swell I'm shaky. Also find when sprinting I am able to hit only perhaps 90% as some effort goes into stabilising. I was thinking of selling both boards and getting something of an all-rounder that is still quite stable but also sharper at the nose than the Falcon. Briskites have a very nice Infinity Whiplash that looks fast, but I wonder how it would go downwinding/technical/surfing. Was hoping a few people might share their experiences. Thanks again and hope everyone is having a lovely Chrimbo. Naish Maliko would be a good option. I find it fast all-around stable and great downwinder. Got mine like new at two-thirds of the price. A little bit heavy to carry but strong construction and it does not feel heavy on the water. If you go for only one board you may find you lose a little bit from each board with maybe a little bit of glide speed from the flat water board and a little bit of DW from the falcon. 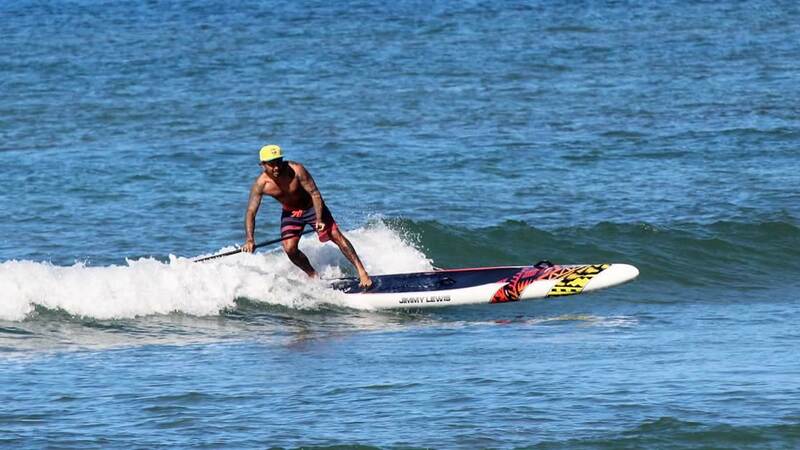 We are now probably the largest raceboard company is Aus and mostly because we do it every day and make boards that suit what people want plus they are crazy light and still strong!! I would say something like the new EVO 2.0 would work or even something like the pics I have attached which is a custom evo and a very good alround board. We have reworked pricing for 2019 which is now crazy good for the customer as well being one of the only companies to lower the pricing and still keep or even increase the construction method. You are more than welcome to come and demo some boards as well as we have a pretty large raceboard demo fleet. I have the 14'x26" Naish Javelin which I would assume is something like your Strike. At 95kg and 6'3" I find it too tippy, just as you describe. I am sure with practice it would become more stable, but I spend most of my time in the surf so I don't have the time to perfect my skills on a 14' board. So I went for a 14' Sunova Search. Much more stable, fun in small surf, low center of gravity, but I doubt it will give you the performance, acceleration, etc. that you appear to be after. But the extra stability and low cog lets you move around the board with freedom. Hey guys, thank you for the responses. LucBenac I was fortunate enough to have a quick go on 24" Maliko and it was much more stable than the Strike, which is also 24". That was just on flat-water. Iwonder how it'd go in the surf? I believe the lady that was kind enough to let me try the board won one of the women's technical races this year on that same board. I just couldn't imagine myself staying on the Strike in the surf. The Falcon is solid but has, in my opinion, albeit based on limited experience/skill, one annoyance, which is that the bulbous and voluminous nose doesn't punch through barely the smallest white-wash when going back out through the break. This means almost every wave has to be taken via stepping back and lifting the nose over, which if isn't done perfectly perpendicular to the wave usually means falling off, at least for me. Whereas I've noticed boards like the All Star punching through smaller white-wash. Of course the solid rocker line and voluminous nose makes for a great downwinding board. Hey Paul thanks for the demo offer. I've heard only good things about your boards and they look great> I especially like the look of the Edge 2.0. I've been keeping my eye on used One boards. I'd love to take you up on your offer to demo when next down the coast. Thanks again. I have the 26" and on small line-up surf it was a pleasure. it punches through the incoming and goes very well on the small bumps. I cannot comment on larger waves. I am 77kg and 6'. Always the contrarian I have a 404 Go-Go which was designed as a BOP style board . Nose rocker, tail rocker, mono concave through out. Surfs well, stable, DW fine. Slow as a fW racer but so am I! This nose cuts through chop easily and a curvy tail is great as well. Looks a great board Dave . Hey Dave Sandan. Yes the sidewinder does look nice. Only 9kg with 300l volume and 27" wide, that's crazy. Has anyone tried both the Blackfish and the Sidewinder? Would be great to hear a comparison. SIC RS is probably the best all rounder going at the moment. Have you tried a EVO 2.0? 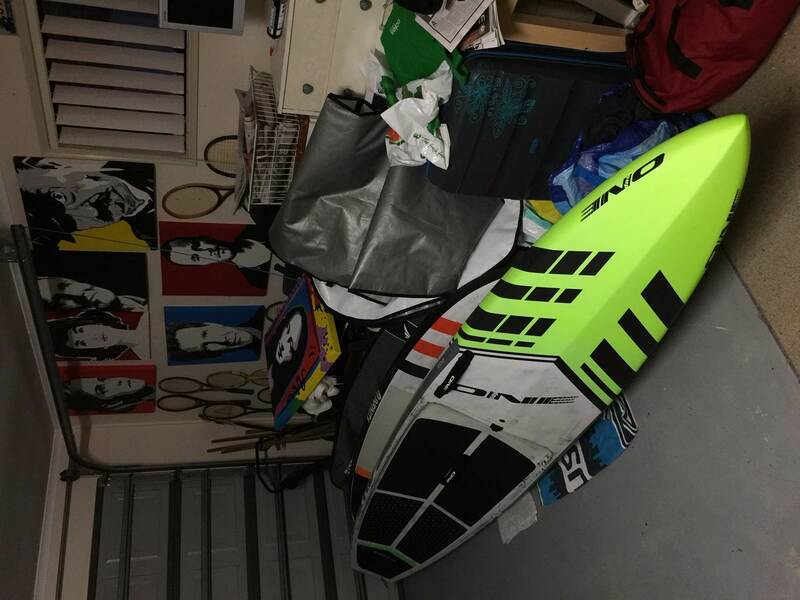 maybe this board will push the RS as the RS does struggle in DW or bumpy conditions where as the EVO 2.0 loves the water as soon as it gets any form of bump on it. RS might have a little more flatwater speed but I found it really struggled once the water started getting textured. 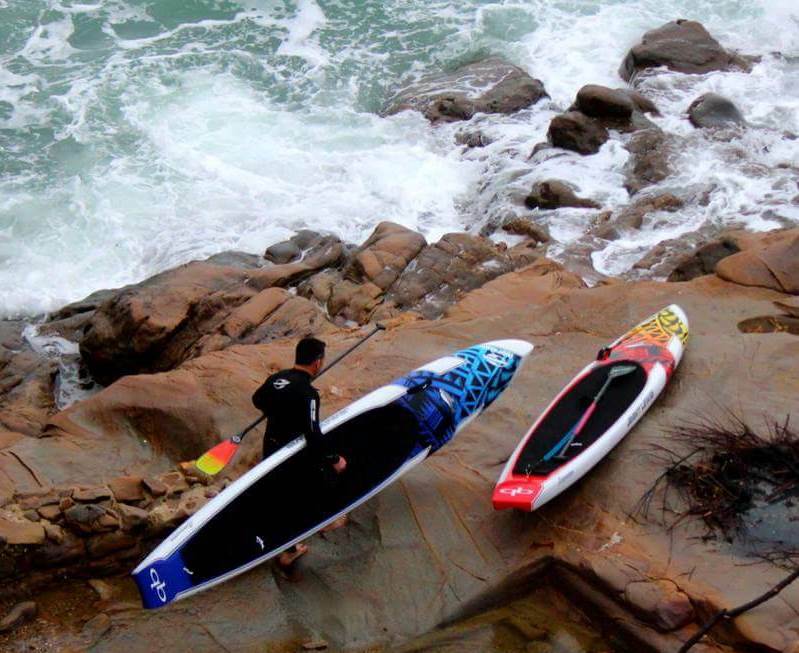 RS is $4000 in Australia and the 2.0 is not, plus the 2.0 is full PVC wrapped and built bomb proof if that is even a term that can be used for a SUP!! Yes I have ridden them all but also could be bias, I'm not but could understand someone saying I am so take what I say how ever you want. ?? I am your weight and have 23" Sidewinder. I have ridden and owned many boards. If could nominate one board as a genuine all-rounder ie the only board you need, this would be it. I'm not suggesting the 23", but at 75kg, certainly consider the 25". The board has a fattish tail, which gives a lot of stability. I'd equate the 23" Sidewinder to being as stable as 25" in most other brands. They are also very robust despite their light weight. Jacko thanks for your input, that rules out the RS then for me. I think I remember you saying first Evo is very different to the new one so wait for the 2.0? I will be selling the demo 14 x 26 very very soon so maybe this might be a option? it's not a molded PVC one but is the ultralight construction and will fit inside your price range. If you demo'ed the the EVO 2.0 you would have been on the one i am selling. let us know which board caught your attention and long term test? The new NSP Carolina is very much the ultimate one board. Fast in the flats, excellent DW board, super stable, the best dugout board for buoy turns, loves choppy water and just a pleasure to paddle. My favourite 14' board. Thanks for your input. I do love the NSP boards, they look great and always grab my attention, although I've never had the fortune to ride one yet. Seeing as I will be using the board for both downwinding and surfing I don't think a dugout would suit me at this point. If just downwind then yes Carolina looks awesome. The RS handles the bumps mighty fine so don't let 1 persons opinion sway you on that. Best option is to demo whatever you can get your hands on. I have no affiliation with any brands so I ride what I think is the best board. Just take in to consideration some of the boards being mentioned here are by those who sell or ride for that brand. But that's not saying they are bad boards. I always make it pretty clear my position about ONE and always have so if someone takes my word or not is up to them but ultimately the boards will do the talking. I can explain a bit more on the RS and in the bumps as well and maybe some of the differences. I put the RS into a class like a all-star where yes it can handle bumps but you have to be very technical in the way you ride it. Boards like this require a lot of movement on the board to make them work and it's this movement that most people struggle with out in the bumps. For those pros who can make them work that's all good but where I and we come from at ONE is trying to make the board more user friendly for the conditions they are ment for. You only have to look at what the top guys are riding at the moment in some DW races with boards like Sprints being used to realize any board can DW but this does not mean it's a good choice for 99% of riders. The fact Is the RS is a more flatwater board it has good stability for it's sizing so many take it out in the bumps and don't fall off so feel it can also work in the bumps which I guess it can, the difference is riding a board that is made to be user friendly for bumpy water a board that does not require a massive amount of foot work to keep it trimmed a board that helps pick up the bumps and does not fight against you. As I say yes I own ONE and yes people can take or leave what I say, but I do get to ride a lot of boards and I feel I am no more bias than the person who owns a board and talks it up because of the stoke they have for that board even through they might not have ridden anything else on the market. I have been on this forum from day one and feel I am always pretty honest and always call a spade a spade I also try my hardest to never sell someone the wrong board and is maybe why we are still trading today in what I feel is a very tough market. Best all round 14ft for me so far was the 2016 Maliko, crazy stable, super light and heaps of fun. 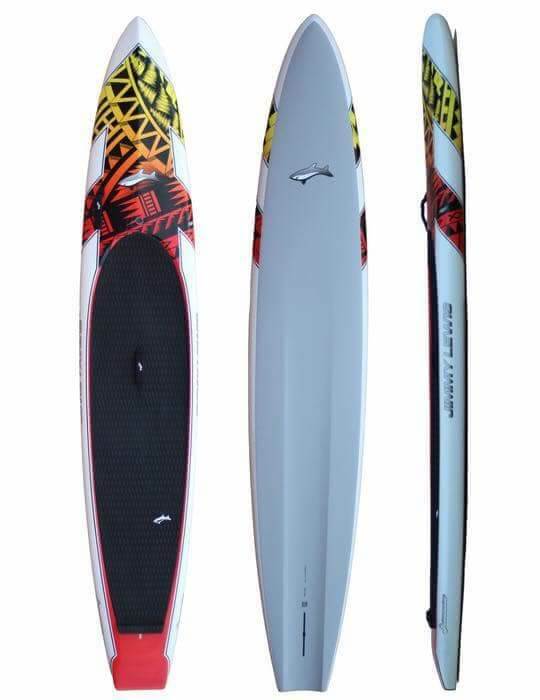 I currently have a 2019 14 x 26 Maliko and its a great board as well, but heavy, mine is 14Kg compared to the 2016 which was maybe 10-11kg. Also have a 2017 14 x 25 Infinity Blackfish, surfs beautifully but a nightmare in the bumps, no hard rails, rounded bottom = many swims. If it is the 14x26, 14 kg is on the heavy side of the scale.I have a 2018 which is the same sandwich construction and is 12.7 kg. The construction is a lot stronger than the 2016 but 14 kg is too much of a penalty. Yes pretty sure your board is leaving tomorrow from what Ang just told me so not to far away now!! Hey forestinjersey, what did you mean when you said your board surfed beautifully but terrible in the bumps? In what way? 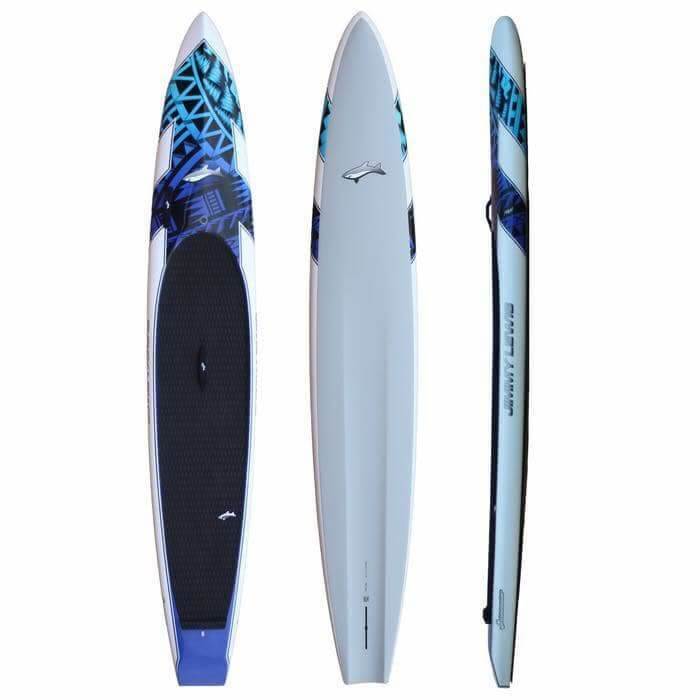 I have one each of the 2019 JL 14' x 25" & 14' x 27" Sidewinder left in stock at a great deal if anyone is after that perfect 1 board quiver raceboard that does everything. The Sidewinder starts with a zero drag outline and a very low, smooth rocker line, making it very easy to get the board moving and once on the move will retain it's speed and momentum with very little effort. The increased volume in the front keeps the nose "floating" over the chop while the "V" deck shape in the front separates the water when it pierces effortlessly through waves or large chop. 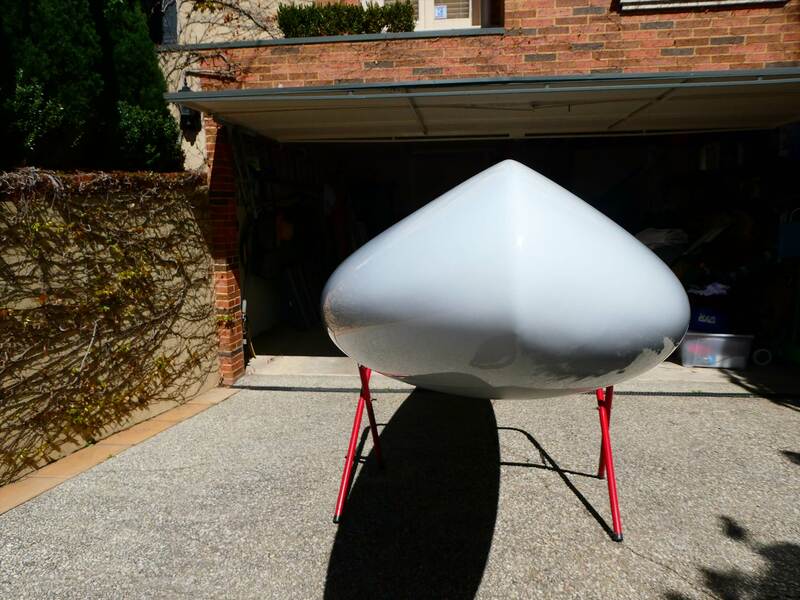 The "wing" shaped rails up front prevent the nose from being affected by cross wind and allows the rider easy tracking in the desired direction during windy conditions. The bottom shape is a no-gimmick, simple flow, from the soft rounded edges in the front going into the single, stability concave in the standing area and blending to a flat release in the back. 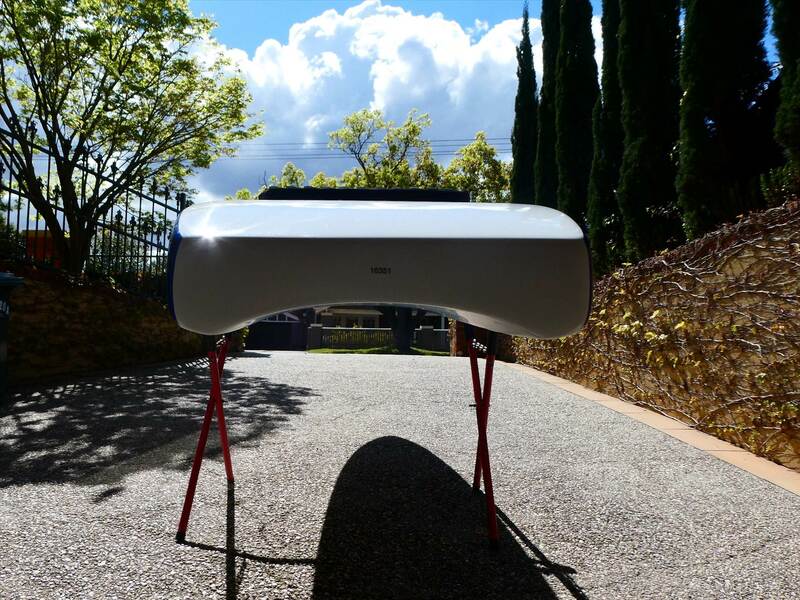 The rails in the back have an edge to them to aid with gliding and surfing ability. Thanks for the post disco. Have you downwinded the sidewinder in the ocean? What's the stability like? I'm v close to ordering the 25" but am reluntant to buy without trying first. Thanks forestinkersey. So the 2017 blackfish must be quite different to the 2018 that I tried. Square and high rails combined with bottom shape made it v stable. No yaw at all, unlike the Falcon. You wouldn't recommend the 2017 blackfish for DW?